I am a long time fan of mind maps and outliners. Recently, I've spent a few hours messing around with one of the oldest text editors of all: Emacs. It goes back to the 1970s. Over time, the editor was "extended," so that it now has over 2,000 commands, and has "modes" that let you program in various software languages, read newsgroups, send email, create websites, and on and on. But the mode that interests me most is an outliner called org-mode (for "organization," I guess). In addition to powerful commands for creating outlines that can be expanded, collapsed, moved, and instantly exported (to pdf, html, odt, and more), org-mode also supports an almost overwhelming array of text editing and planning options (to dos, due dates, etc.). Way back in 1982 I bought my first computer, a Kaypro II, running CP/M and a "Perfect" package of software. Perfect Writer was, it turns out, a subset of Emacs. So looking at it again, I find that my fingers remember things my brain had forgotten. Back then, I left Perfect Writer for Wordstar, then NewWord. Most of what I wrote wound up being printed, and Perfect Writer had extremely complex and unpredictable formatting commands. But these days, I produce files, not pages, and Emacs, or emacs (more frequent spelling), is a fascinating, and even absorbing environment. More to the point, files created back in the 1970s can still be used today by almost any other editor. Why? Because emacs produces plain text files. The commands allow you to do almost anything, but the files themselves are readable by everything. Moreover, emacs is fast on almost any computer, absolutely bulletproof (40 years of debugging), and to top it off, is free in both senses (open source and no charge). It runs on Unix, Linux, Windows, and OSX. There are even various applications for Android and iOS, although none that are quite full-featured. Be prepared, though. On the one hand, you can pound out text in seconds. A handful of commands are all you need to get started. But emacs is one of the deepest rabbit holes in history, and some people now manage literally every aspect of their lives in it. There's a learning curve that's more like learning to play piano than learning to type. It is its own universe. But when it comes to writing, about anything you want to do can indeed be done. You just have to dig it out first, then try to remember how you did it. I started with this file, a good, basic introduction. Have fun! Some months back I did a webinar on Odilo, an automation vendor (including an ILS, discovery, ebook acquisitions, hosting and delivery) with its roots in Spain. It has been present and growing in North America since 2012. I’d like to revisit the company, because I think it offers some compelling advantages to some of the offerings in today’s market. Indeed, that market, with very few exceptions, has been stagnant in some important and disturbing ways. The fundamental issues of libraries and ebooks haven’t changed much since 2010: the Big Five and a few distributors still dominate the market, and their pricing and licensing models (lack of ownership, loss of discount, poor integration) have made libraries all but inept in this new space. We buy fewer books just as the number of new volumes (especially outside the Big Five) is skyrocketing. Random House prices for many new titles - now reliably at 6-8 times greater than consumer - erode our budgets. HarperCollins titles that wink out of our catalogs after 26 uses, regardless of the remaining demand, create new work for our acquisitions department. Anemic APIs and walled-garden mobile apps (OverDrive, 3M/Bibliotecha) create unpredictable user interface barriers. Too, the growth of many other epublishers - Sourcebooks, Rosen, IPG, Lerner, Crossroads, Akashic, Poisoned Pen, and many, many others - creates a largely untapped opportunity for libraries. These are traditional publishers with vetted content and strong editorial control. Their ebook catalogs rival and often exceed the quality of the Big Five. Moreover, these companies are eager to see their works in libraries, so gladly offer both ownership and discounts. What’s missing, as with self-publishing, is the library infrastructure and workflow systems to acquire and deliver them. From 2011 through 2014, the Douglas County (Colo.) Libraries built and maintained its own integrated ebook platform. I believe there were several lessons to be learned from the experiment. First, as a proof of concept, it was successful. Libraries could indeed directly negotiate with epublishers and authors to gain physical possession of the files, to secure discounts that quickly recuperated the cost of development, and secure the protection of the content through industry-standard digital rights management. Second, it became clear that some of the components used to build the infrastructure - mainly, our tweaked version of Vufind - simply wasn’t robust enough to handle a large collection of ebooks. We needed something that scaled up. Vufind is a brilliant discovery layer, but it wasn’t designed to handle the necessary functions for ebooks. We needed a new, independent module for that. Third, to present a genuine alternative to the Big Five/Big Distributor model, the ebook platform needed to be larger: statewide, multi-state regional, or national. Publishers couldn’t deal with thousands of independent library platforms. Too, it is simply more efficient to share technical infrastructure and maintenance needs. To attempt to solve this, DCL worked with the Colorado State Library to replace the hosting and discovery layer with well-tested alternatives from Odilo. We created an alpha site with some sample content. The model, Evoke 2.0, included acquisitions, basic integration with Sirsi Dynix, Innovative Interfaces, and Koha, and the hosting and delivery of content. That hosting meant the library could actually buy and own the content, and could also publish its own. At about that point, some changes in leadership resulted in loss of momentum. I left the directorship of Douglas County, and my successor shifted focus to some urgently needed building projects. Along the way, some of the local ILS partners didn’t make some of the tweaks on their end to wrap up all the integration. 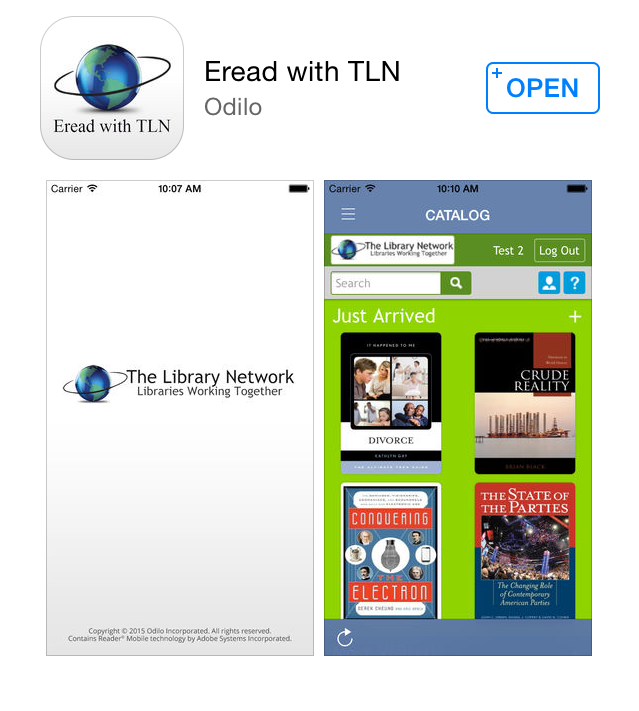 But Odilo’s software did everything it was spec-ed to do. Odilo, back then, was doing much of what Sirsi Dynix’s eResources Central has promised to do for several years now. That is, Odilo’s software represents, right now, an acquisition, discovery, integration, and delivery mechanism not only for Big Five content, but for the far more interesting and significant new content from indie publishers and authors. I believe that Odilo represents one of libraries' best immediate strategy to assert our agency in the publishing market. Headquartered in Madrid, Spain, with offices in Cartagena, Spain; Mexico City, Mexico City, Mexico, Denver, Colorado, and New York, New York, Odilo has been in business as an ILS for about a decade. Odilo currently serves some 43 countries – and as the catalog of all of Spain. It offers various products: discovery, management, and delivery of print and digital content. Odilo’s circulation functions are well-tested in many standalone and consortial settings, as is true of the main vendors in the United States. Of particular interest is its work with Michigan's The Library Network. But this is where the discussion begins in the 21st century. Of greater importance is the ability of the ILS to get, integrate, and deliver digital content. Odilo’s discovery tools, and platform-agnostic interface, are fast, un-fussy and clear. But more impressive are Odilo’s relationships with a plethora of both established and emerging publishers (the United States’ Big Five, many independent and small publishers both within the nation and abroad), its ability to consume other vendor APIs (OverDrive and 3M, for instance), and to integrate separately hosted content. I mentioned, above, the rise of new business models. For instance, suppose a library wanted to buy two permanent copies of a title, and lease multiple other copies to meet a surge in demand. If the publisher is willing, Odilo can accommodate that arrangement. Among its many other options: Odilo offers Pay-per-Use (always available), One Copy-One User (perpetual, metered, and expiring), Simultaneous, and/or Subscription content licensing options. That encompasses licensing management with the Big Five, but I want to stress that libraries that look only this far, only at that increasingly smaller subset of the publishing world, are missing the big picture. I also want to highlight Odilo’s “market place.” Here, the company’s longstanding arrangements with many Spanish language publishers could be of interest: Odilo’s software allows for not only individual orders, but packages representing the thoughtful collections of publishers whose works have proved popular elsewhere. In this way, libraries could create and share their experience with new publishers, too. Of great interest to me is the creation of “local author” collections, highlighting the best of local histories, or geographically based authors. I have long argued that libraries need to move from simple gatekeepers to gardeners - and Odilo offers just the right tool shed. Local content can be presented alongside hot bestsellers. I am also very pleased to report that Odilo, unlike some of its competitors, charges no platform fee. I do a lot of professional speaking, where I underscore a fundamental shift: librarians have to abandon Fort Circ and Fort Ref. We need to move from a passive acceptance of how things are to a more active and engaged creation of new service models. The same thing applies to Fort OverDrive and Fort Acquisitions. It’s astonishing to me to see people shifting ILS platforms, but still being unable to accept a local ebook donation, or to tap into the greatest explosion of writing in the history of mankind. To be blunt, if we remain in thrall to Big Five licensing schemes and Big Distributor vendor lock-in, we cannot be taken seriously in the ebook market. We will lose readers - we are already losing them. Odilo will not be the only new player in this emerging epublishing environment, but right now, I urge any library unhappy with its current arrangement to look them over. After I left Douglas County, I teamed up with David Starck, one of my former Board members. He's also a gifted graphic designer. He approached me with a business proposition: he'd noticed that a lot of libraries were distinctly amateur in their approach to "managing their brand." Suppose we were to offer an audit service? We could come in, review all their collateral (those advertising items that even in the digital age libraries generate by the ton), take a tour through their buildings, then review their long range plans. We would try to answer the question: have you aligned your story (the way you present yourself to your community) with your strategy? Reviewing the collateral is enlightening. It's amazing how often just these three things, the library envelope, the library stationary, and the library card itself, have different fonts and spacing, different logos (or the coloring of the logo), and sometimes even different library names. One of the foundations of "brand management" is graphic consistency. If the library itself can't keep it straight, how can the public? The walk-through of the buildings is also eye-opening. A long range plan (right there on the library's website) says children's services is key. But walk into the library, and you can't even see where children's services might be. Instead you see copy machines and computers. But technology isn't addressed in the long range plan. My 30+ years as a practicing librarian help me see the issues in building layout. David's been in graphic design about as long. Both of us are well versed in library planning. Together, we bring a truly fresh eye to the library's gaps between how it presents itself, and how it says it wants to present itself. Then what? After touching base with the director, we write up a report summarizing not only what we saw, but what we think a library might do about it. There's the easy/cheap option, a middle option, and the high end. Sometimes, the cheap option is all that's necessary, and we say so. So the library gets an affordable, comprehensive look at its brand. What do we mean by "affordable?" For most libraries, we offer the product for between $2,500 and $5,000 (depending upon the library's size and number of facilities). I'm tempted to say, at a time when we're competing for mindshare and funding with all kinds of businesses, that the answer is every library. But suppose you're thinking about going to the voters. Talk to us two years ahead of time. We'll clean things up for you. Or suppose you're just hopelessly outdated, and don't know where to start. We'll produce a road map, with all the low-hanging fruit clearly identified. David and I both work fast. Typically, we can wrap it all up in about 6 weeks. Interested? Feel free to contact me at jlarue @ jlarue . com.